We have specialist members of staff who run extra-curricular sessions in various rooms. All extra-curricular sessions are included in the fees. 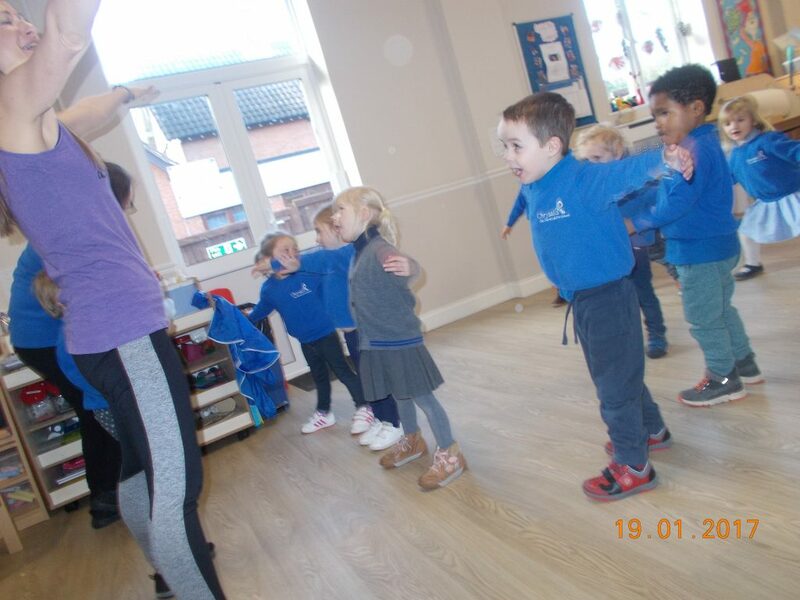 Stretch-n-Grow is a specially designed holistic health and fitness programme for children from the age of 12 months to 7 years in the form of a weekly class conducted by a fully trained Stretch-n-Grow instructor. The programme comprises of a three-year curriculum endorsed by fitness and child development experts. 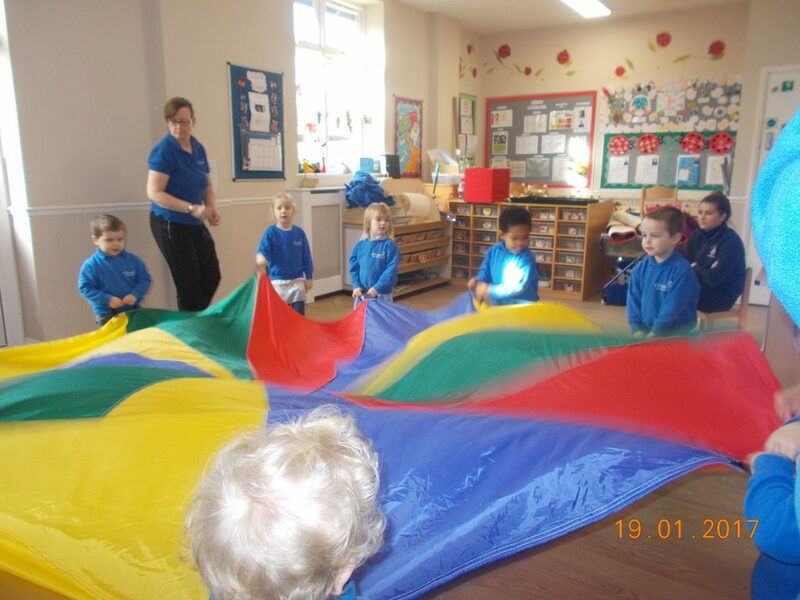 They have imaginative monthly themes with great equipment for every child and fantastic music. The classes are designed with children in mind! Child development research states that if a child has not mastered certain fundamental motor skills by the age of five experts say they may never realise their real potential to perform them. 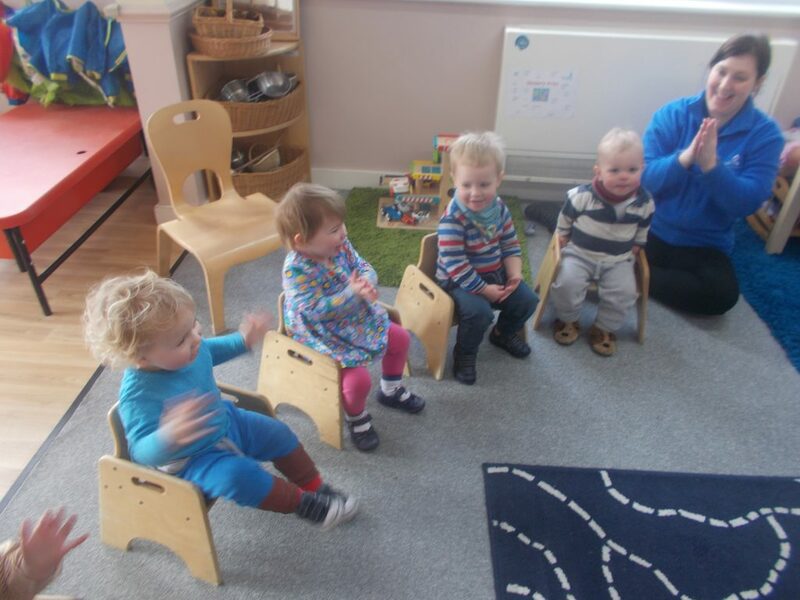 They include age-specific motor skills in every class along with fun and giggles! Classes are linked into the EYFS and the weekly handouts and discussions include healthy eating, citizenship, safety and muscle groups. Find out more on the website www.stretch-n-grow.co.uk. We are fortunate to have Maxine from ‘Little Signers Club’ visit the Caterpillar & Chrysalis rooms once a week on a Monday. At just 6 months old, a baby’s motor skills are sufficiently developed to make simple gestures, enabling them to bridge the communication gap and show their parents what they need. To put this into perspective, at 12-15 months babies will only have around ten words – most of which will be unclear leading to frustrating periods for toddlers as they try to communicate using their just-developing speech. Studies have highlighted the detrimental effects of stress in babies under 36 months and using signing can so easily be used as a tool to relieve that. The most popular misconception that we come across is the belief that baby signing delays speech. This couldn’t be further from the truth and the evidence clearly shows that signing babies have more words and more complex speech at an earlier age – if signing is done correctly. The benefits of learning to sign continue well into childhood, with studies showing signing children being significantly ahead of non-signing children at aged 8 (Acredolo and Goodwyn 2000). In fact, the benefits of signing do not end when speech begins. As babies become toddlers, there is even more need for signing as frustration really manifests itself at this difficult transition age; signing is particularly beneficial from 12 months onwards as it’s been suggested that up to 90% of toddler tantrums are linked to their need to eat, drink, sleep or receive comfort. These are very easy signs to implement and use at this critical age, restoring calm for everyone and enhancing bonding. My name is Mandy and I run Lingotot Buckhurst Hill. I live in Buckhurst Hill with my husband and our two daughters Lila Rose (4) and Anaya (2). Languages have always been a big part of my life. I grew up in a bilingual household in the south of France and have spoken French to my daughters since they were born so they could benefit from a young age as I did. My eldest is bilingual and always interested in learning new words! She even teaches her dad and corrects his pronunciation! I am really excited to share my passion through this award-winning programme. From a very early age, children have an amazing ability to learn languages. Lingotot classes are full of fun, we have lots of singing, stories, games, crafts and it’s such a great way for the children to learn. 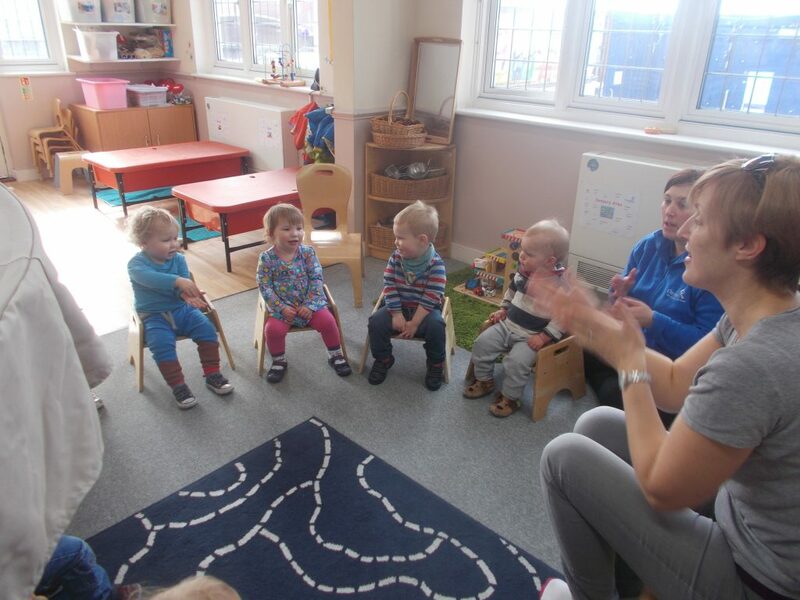 I currently teach children in nurseries and preschools in Buckhurst Hill and Loughton. I run a lunch club for KS1 children in a school in Buckhurst Hill and I do a community class at the Loughton Baptist Church for babies, toddlers and preschoolers. 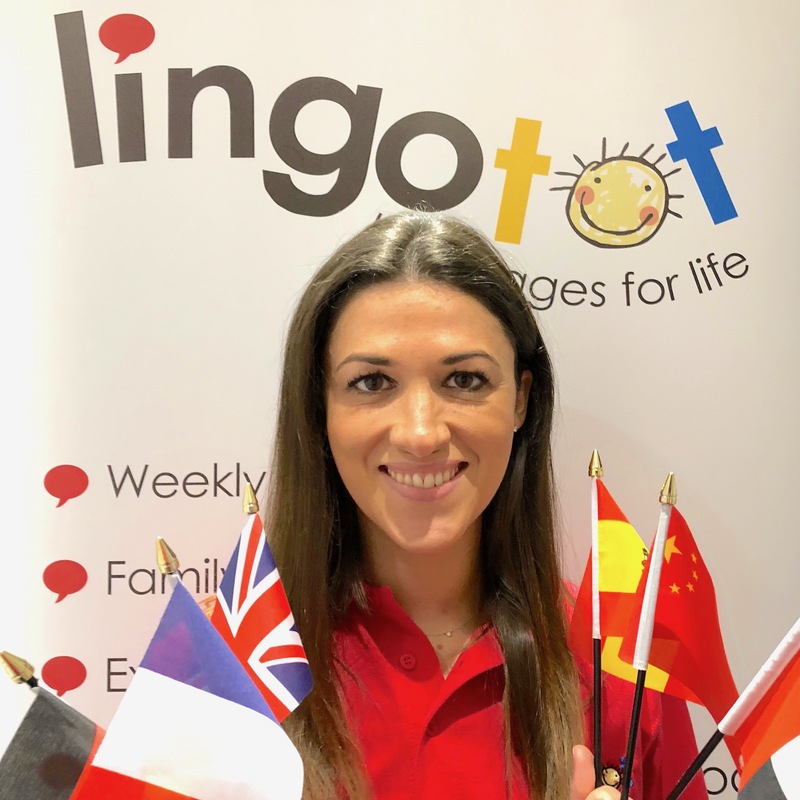 Lingotot has 10 years of experience leading fun and engaging language classes for babies, toddlers and pre-schoolers in nurseries and other early years settings. We work with hundreds of settings each and every week across, inspiring thousands of little ones to fall in love with languages. Our multi award-winning, CAA gold-accredited classes are led by FULLY NCFE CACHE QUALIFIED FLUENT LANGUAGE TEACHERS who are also trained in safeguarding, life-saving skills and even food hygiene! We cover all of the strands in the Statutory Early Years Foundation Stage (EYFS) framework. Classes are interactive and fun, yet based on sound educational research. Learning is through songs, stories, games, drama and play. Children have so much fun they don’t realise they are learning! We speak 100% in the foreign language but our skills and expertise ensure everyone understands. Research suggests that children who know two languages can gain an academic and social advantage over those who speak only one. Children have an amazing ability to learn a language and this happens best when it is interactive, engaging and child-centered. “A Sounds Right Phonics Class is high energy and at its heart offers a fun and educational class for pre-schoolers. Parents comment that one of the greatest things about the class is that children learn without realising it! A Sounds Right Phonics Class is made up of four elements. Each element has educational value for your child. We start each class with a welcome song and each child posts their name in the post box. This establishes a sense of belonging in the group and gives your child opportunity to build relationships with other adults. The weekly name card posting encourages children to recognise their own name. All fundamental skills in the Early Years Foundation Stage (EYFS) which is the curriculum for children birth – five years. Each week we introduce a new sound. We use a multi-sensory approach to teaching sounds. With a flash card (visual), an action (kinaesthetic) and a song (auditory) used to teach each letter sounds. We then play a game associated with the sound. This is both fun and teaches skills such as turning taking and independence but helps each child to engage with and remember each sound. 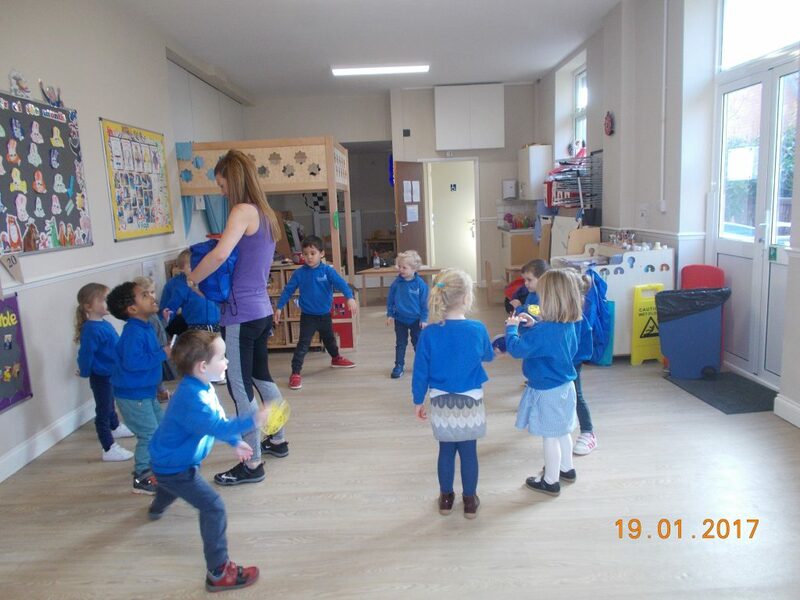 Each lesson includes activities to improve gross motor skills. Children need control over their gross motor skills in order to write. Research suggests that good gross motor skills benefits developing good handwriting skills, scissor control, learning to read as well as well as listening to the teacher and following instructions. 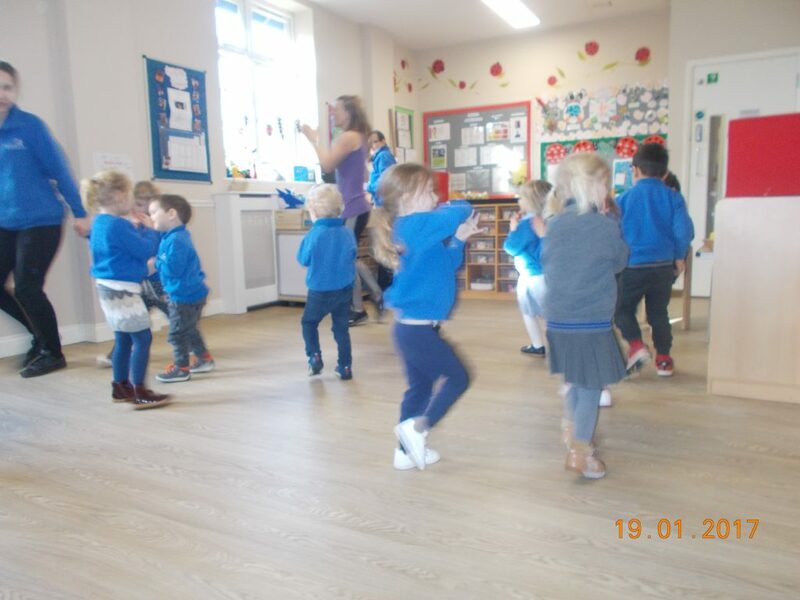 Gross motor skills in a Sounds Right Phonics Class is carried out via high energy action song and using resources such as pom-poms and dance rings. This is an essential early phonics skills which is paramount to learning to read (blending) and spell (segmenting). Sounds Right Phonics Classes teach children to become proficient in putting sounds together and breaking them up orally so that they are ready and confident to read when they get to school. Although our intention is to equip your child with early phonics skills many parents comments that their children are able to read simple words before starting school as a result of our classes.